Subspace Transmissions: A Star Trek Podcast: EPISODE 16 - "ALL-TIME TREK ANTAGONISTS"
EPISODE 16 - "ALL-TIME TREK ANTAGONISTS"
In all classic adventure stories, a hero must face a worthy foil to truly achieve greatness! As we all know, the franchise that Roddenberry wrought is an embarrassment of riches when it comes to compelling adversaries, so this week hosts Cam Smith and Tyler Orton read out their honor rolls of who among the many belong in the upper echelon. As an added bonus, the duo also engage in a very funny lightning round shaming the suckiest foes faced by Starfleet, as well as assume the intimidating responsibility of acting as the deciding voice in Trek/Friends fan-casting. We kid you not. Wanna appear on the show? Shoot us a 30 to 60-second audio clip letting us know who your ALL-TIME TREK ANTAGONISTS are and you could take the spotlight in an upcoming program! You can also send any other questions, topic ideas or feedback to subspacetransmissionspod@gmail.com! 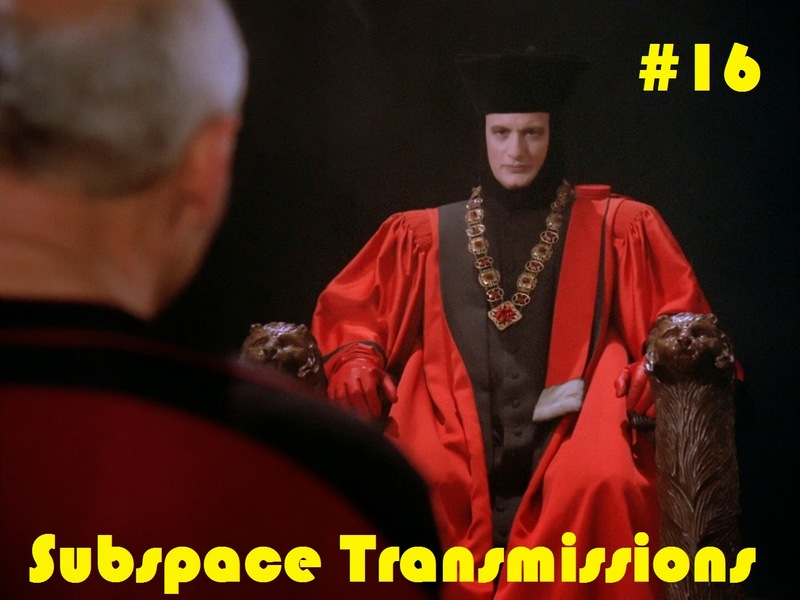 BONUS EPISODE 4 - "STAR TREK IV: THE VOYAGE HOME"
EPISODE 18 - "INCOMING TRANSMISSIONS MAILBAG #1"
EPISODE 17 - "BAD FIRST IMPRESSIONS IN TREK"